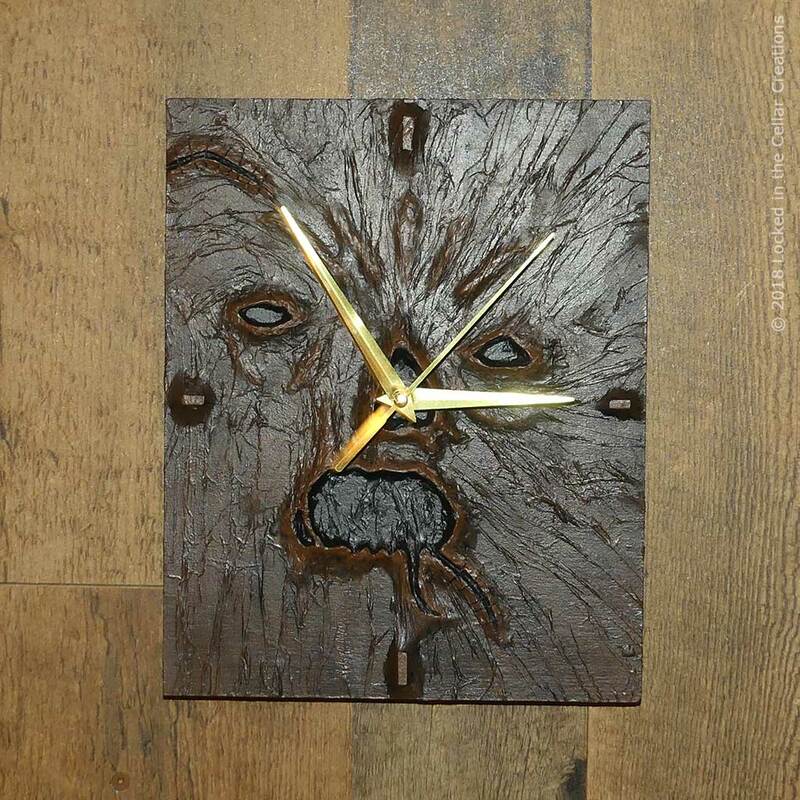 Be careful reading this clock, as you might awaken something evil! 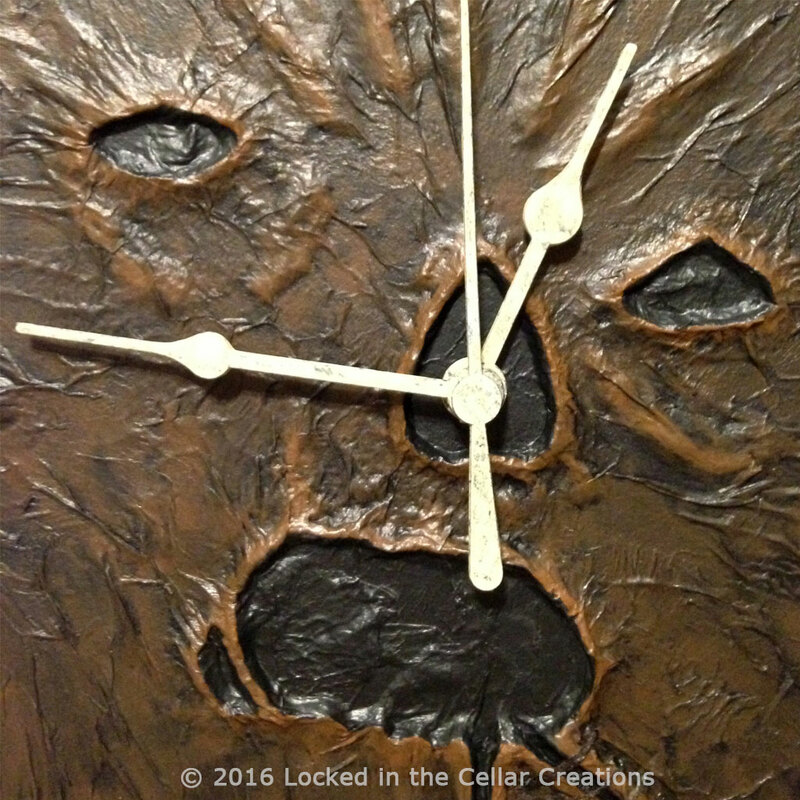 We hand sculpt the clock’s face (geddit?) on a sturdy wooden frame, and then coat it with a matte gloss coating. 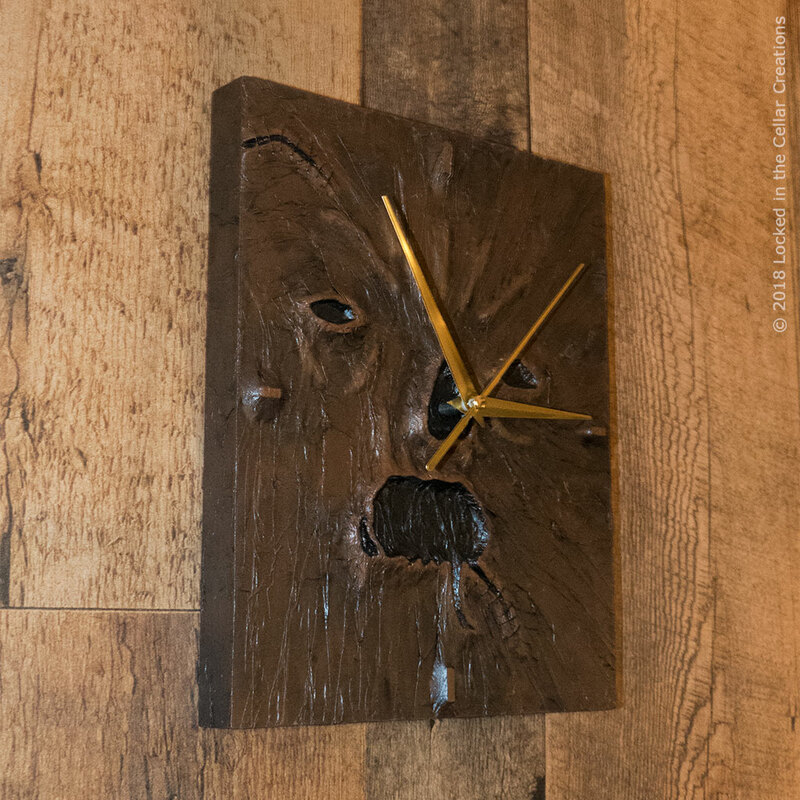 All our wall clocks are hand-crafted and unique, so they will differ slightly from the clock pictured. 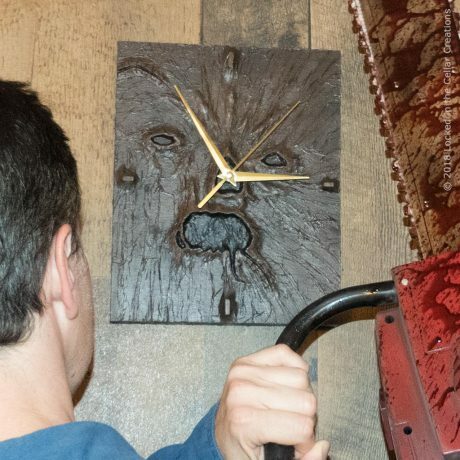 But rest assured, it will look old, leathery and evil, like a true Necronomicon! There are no numbers on the face of this clock, just markers to indicate the quarters of the hour. The craftsmanship on this face is unbelievable! The clock is super light yet very sturdy. The gold hands are a beautiful compliment to the warm browns in the piece. Makes me very happy to have the Book’s face be my clock’s face as well.